1. Cut out the front, back, and tie pieces for the Lucida Dress. You will need to lengthen the bodice. I added 6" and that was plenty. 2. 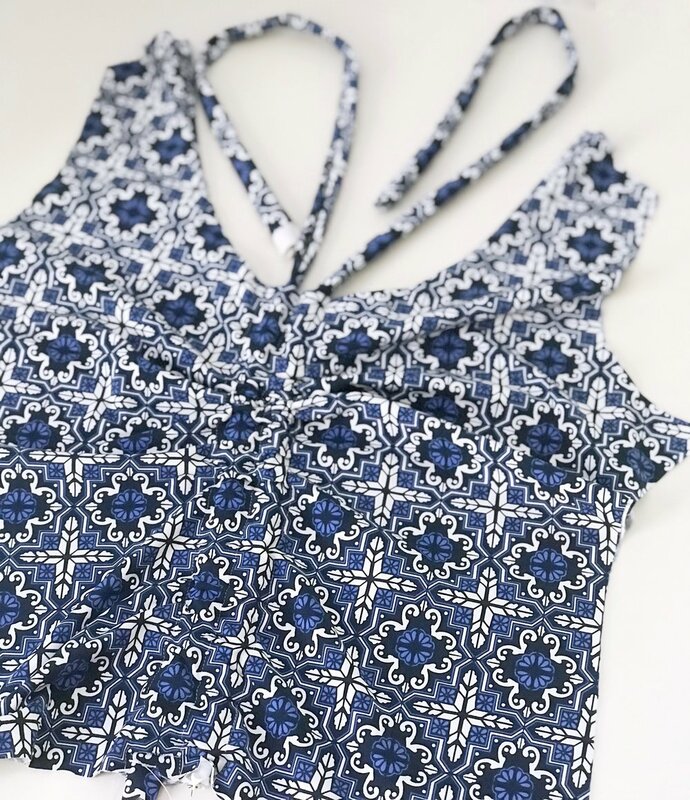 Cut out the front and back pieces for the bottoms of the Vernazza Two Piece. 3. Follow the instructions in the Lucida pattern to create the bodice and install the ties. When you sew up the side seams, stop 5/8" before you get to the bottom and backstitch. 4. Fold the raw edges of your armholes under 5/8" and stitch. For my one piece I did not add elastic to the arm holes and did not have any issues come up because of that. 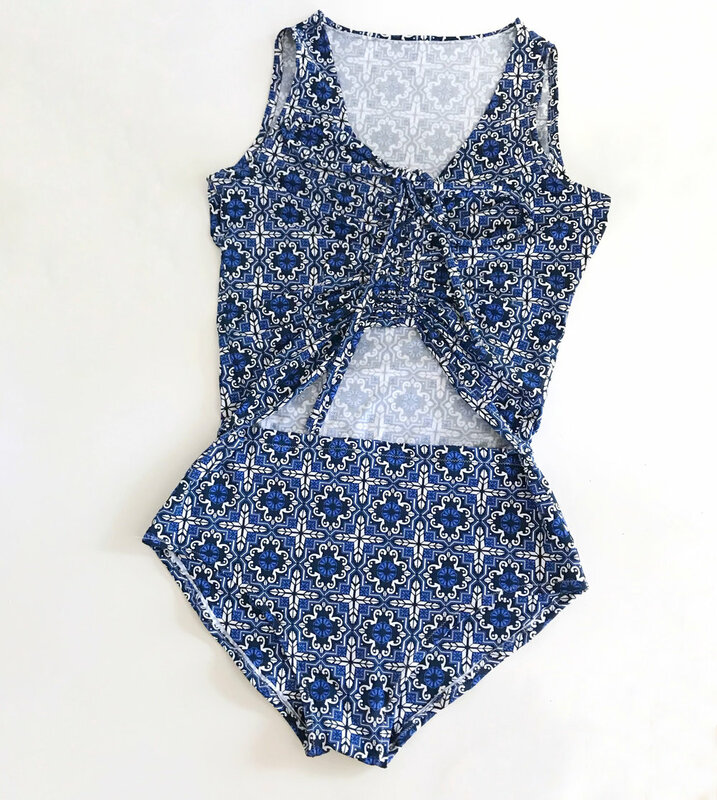 Because the top is substantial, your swimsuit doesn't really move around much. 5. Fold the front hem of your bodice under 5/8" and hem. 6. Follow step 12 and 13 in the Vernazza Two Piece pattern to assemble your bottoms. Leave 5/8" open at the top of your sideseams. 7. Follow the instructions in the Vernazza Two Piece pattern to add elastic to the leg holes. 8. Fold the front of your bottoms under 5/8" and hem. OPTIONAL: I did not add elastic to this part of my suit and in retrospect I wish I had. 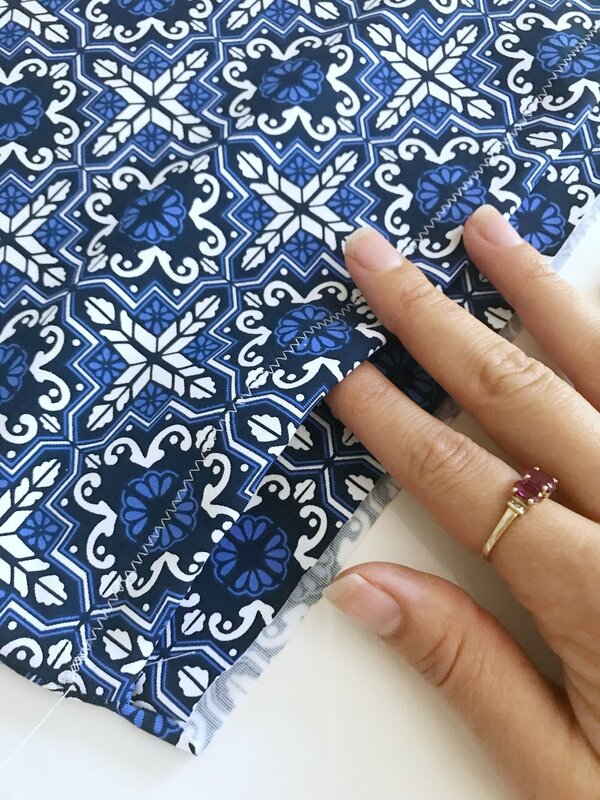 You can cut a piece of elastic that is 1-1.5" shorter than your front piece and use the method laid out in the pattern to attach it to the front of your bottoms. 9. Now we are going to attach the top and bottoms! The back of your bodice piece and bottoms piece may be different lengths, not to worry! 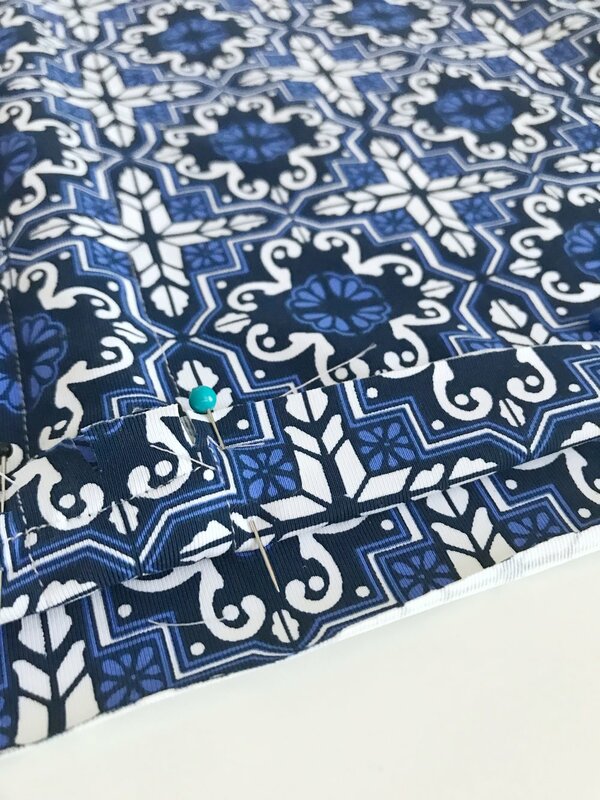 Pin the pieces, right sides together, and stretch whichever piece is shorter to match the length of its mate and stitch them together, backstitching at the beginning and end! That's it! Enjoy your cute new suit! Newer PostWhat I Made This Week: Leggings, Old Fashioneds, Bangs. It's Fall Y'all!